Safeties are viewed as the last lifeline for most defenses. There are a number of individual safeties who are the best in the game regardless of position. 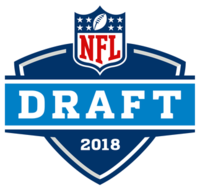 Their importance has ascended over the years and it is evident in recent drafts with 30 safeties selected the first two rounds of the draft since 2010. So who are the best safety tandems in the NFL? Let’s take a look. Landon Collins/Darian Thompson, New York Giants – The only reason this duo is on the outside looking in to the top 10 listing is because of a rookie season by Thompson that only netted three games due to a foot injury suffered in week two. Thompson was an established ballhawk at the collegiate level and if he’s completely healthy, the skill should transition over to the NFL. As for Collins, his 2016 season vaulted him into the top 5 category in overall safeties in the league. Expect to see this duo on the list next year. Sean Davis/Mike Mitchell, Pittsburgh Steelers – Mitchell continued his reputation as a hard-hitting safety and was an intimidating presence on the back end of their defense. Davis started 14 games as a rookie and played in all 16 while recording 54 tackles and five pass breakups. The two can help the Steelers defense improve even more going into the 2017 season. Tyrann Mathieu/Antoine Bethea, Arizona Cardinals – The Cardinals are loaded with talent on the defensive side of the ball. However, Mathieu aka “Honey Badger” finds ways to make his presence felt on the field as a playmaker. Mathieu is just two seasons removed from a first team All-Pro season with 90 tackles, 17 pass breakups, and five interceptions. Bethea was brought in from division foe San Francisco this offseason and will look to add some thump to a secondary that can use an enforcer. 10. Tashaun Gipson/Barry Church, Jacksonville Jaguars – The tandem was put together this offseason with the free agency acquisition of Church. Both have missed time this offseason due to injuries but both are also expected to be locked and loaded in week one of the season. Church improved his missed tackle percentage from 12% between 2013-2015 to 9% in 2016, according to Pro Football Focus. Gipson took a slight step back this past season but based on the complexity of a new scheme, Gipson can be a true playmaker with his ballhawking ability. 9. Reggie Nelson/Karl Joseph, Oakland Raiders – The combination of Nelson and Joseph was better than advertised last season despite the inconsistencies at cornerback for the Raiders. Nelson was fifth in the league in interceptions with five last season and also has 38 pass breakups in the last three seasons. His savviness rubbed off on Joseph as the 2016 rookie improved over the latter portion of the season. A nice mixture of experience and youth gives the Raiders a solid set of safeties on the backend. 8. Ricardo Allen/Keanu Neal, Atlanta Falcons – The Falcons entered the 2016 season with a free safety in Allen who was notably inconsistent and a strong safety in Neal who was considered a reach as the 17th overall pick last season. Both outplayed expectations this past season as Neal was second among rookies in tackles with 106 and led all rookies with five forced fumbles (third overall in the league). Allen meanwhile proved big with two interceptions in the postseason after totaling 90 tackles and two picks in the regular season. The Falcons may see a rise in the defensive rankings this season and the safety combo will have a big part in that. 7. Rodney McLeod/Malcolm Jenkins, Philadelphia Eagles – Forget about the team’s woes at cornerback for a minute. The team of McLeod and Jenkins was solid this past season with Jenkins posting 69 tackles and three interceptions while playing safety and slot corner. McLeod earned a PFF grade of 80.2 in his first season as an Eagle and was third on the team in tackles with 79. 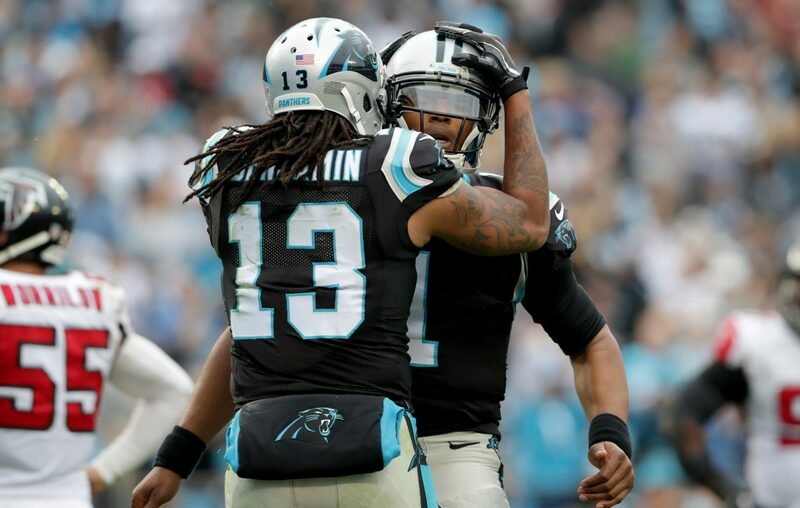 Combined, the two reeled in six of the team’s 16 total interceptions, which was ninth in the league. It’s easy to overlook this tandem but McLeod and Jenkins are a productive combination at the safety spot. 6. Ha Ha Clinton Dix/Morgan Burnett, Green Bay Packers – It took a couple of seasons but the tandem of Clinton-Dix and Burnett clicked in 2016 and gave a Packers secondary that was dreadful because of their corners, a light to shine. Clinton-Dix was tied for fifth in the league in interceptions with five and earned his first Pro Bowl berth. Meanwhile, Burnett led the team in tackles and was second on the team in pass breakups. Both ranked within the top 18 of safeties overall according to Pro Football Focus. A tag team that didn’t see the overall results until this past season is now on the verge of the league’s elite. 5. Eric Berry/Ron Parker, Kansas City Chiefs – For the past couple of seasons, Berry has proved to be one of the best all around playmakers on defense with back-to-back seasons earning a spot on the All-Pro first team. A lucrative contract this offseason was the result for Berry and it was well deserved. Parker showcased his versatility by seeing time at both free safety and corner. Parker led all NFL safeties with eight pass breakups and according to PFF, enjoyed his finest season with an 81.9 rating. Both are stable with long-term deals in Kansas City and a bright future is at safety for the Chiefs. 4. TJ Ward/Darian Stewart, Denver Broncos – Some will point out the top notch pass rush and excellent set of corners that flank the safety duo out in Denver. Although that may be true, the presence of Stewart and Ward has been more beneficial for the Broncos than given credit for. The hard-hitting Ward set a career-high in forced fumbles this season and Stewart went to his first Pro Bowl thanks to 68 tackles and three interceptions. The Broncos were fourth against opposing tight ends in 2016 according to Football Outsiders. That achievement can be credited to the outstanding safety tandem. 2. Eric Weddle/Tony Jefferson, Baltimore Ravens – Some of you are thinking that it is crazy to put a duo this high that have not played a game yet. It is a little twist but this goes to show how effective this duo can and will be. Jefferson was standout in Arizona last season with 96 tackles, two sacks, two forced fumbles, and two fumble recoveries. He was also PFF’s fifth rated safety in the league last season. Weddle was PFF’s top rated safety this past season and missed only three tackles in 95 attempts. The combination of Weddle and Jefferson gives the Ravens two safeties that are identical and will be two aces in the Ravens defense. 1. 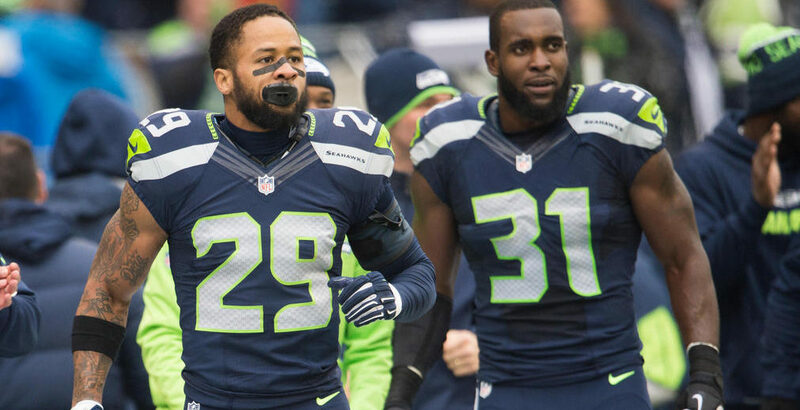 Earl Thomas/Kam Chancellor, Seattle Seahawks – There probably was not much speculation with this one as the veteran Seahawk tandem takes the throne as the best in the league. 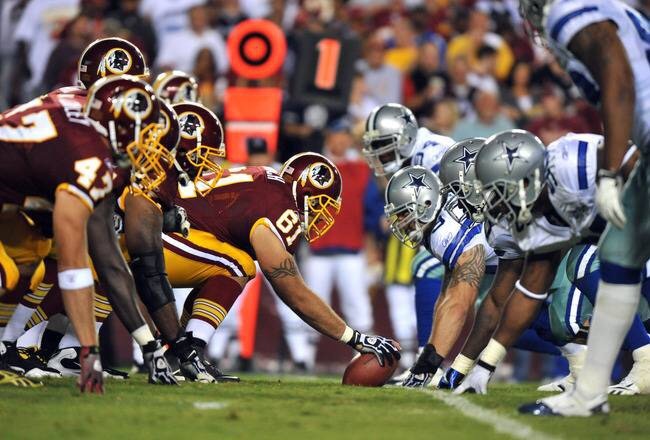 Between the two, there are nine Pro Bowl seasons although both missed this past season. Chancellor finished with his highest PFF grade of 91.2 despite only playing 12 games while Thomas missed five games for the first time in his career after starting 16 games in each season since 2010. Thomas also posted his fourth straight season with an 84.6 PFF grade. They have been on top of the league for several seasons now and things have not changed at all.